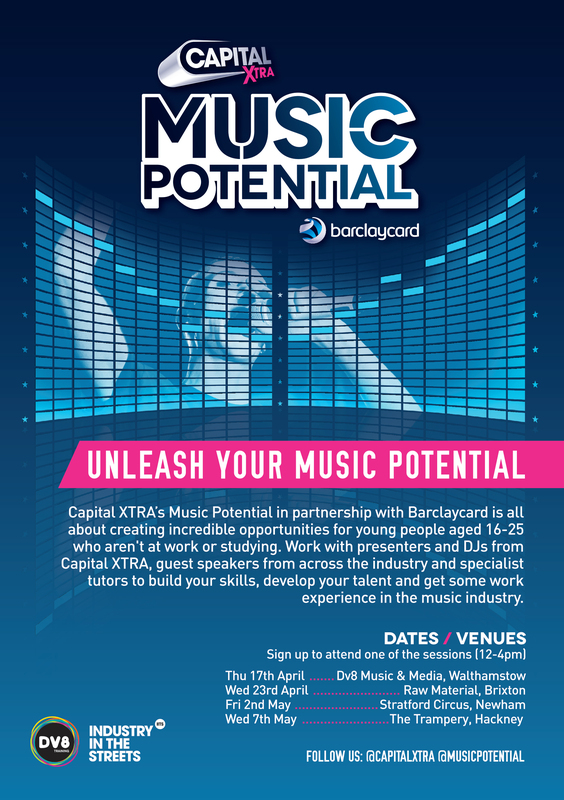 Home / Featured Posts / CAPITAL XTRA’S MUSIC POTENTIAL IS BACK FOR 2014! Yes Music Potential is back again this year to create amazing opportunities for young people aged 16 – 25 year olds who aren’t at work or studying. Industry In The Streets work in conjunction with DV8 Training and Punch Media to deliver taster sessions and masterclass workshops to help young creatives build skills, develop talents and provide support for emerging creatives seeking work experience in the creative industry all over London and Birmingham. All sessions in London will be delivered by IITS Specialist Tutors who not only have the skill and knowledge to share but also has all of the industry experience. 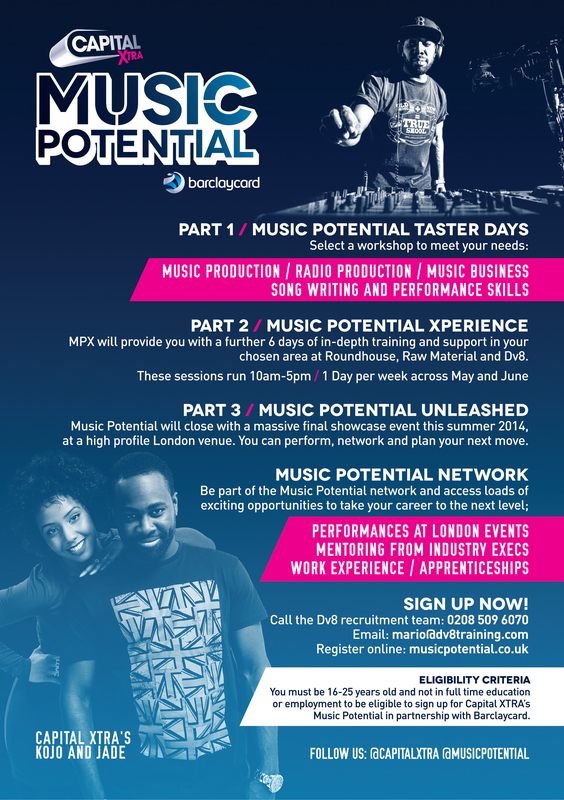 With the first taster session kicking off at DV8 Training on the 17th April, make sure to register online here for your limited space to join the Music Potential team in all four corners of London.